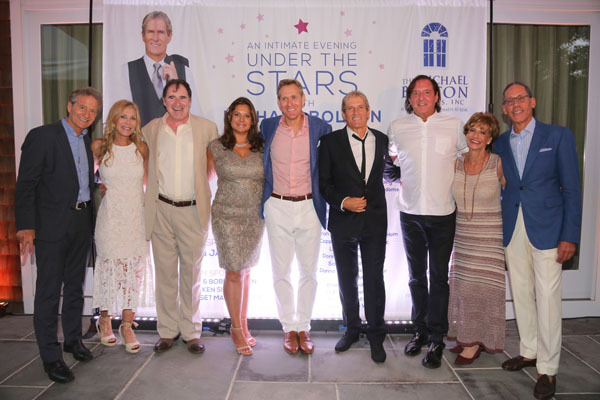 On Saturday, August 19th, 2017 Michael Bolton and The Michael Bolton Charities hosted the annual “An Evening Under the Stars” at a private estate in Sagaponack, NY. Philanthropist Susan Shin was the honoree of the night and was recognized for her work with the Charities, and Chris Wragge and Kimberly Guilfoyle were hosts of the evening. “An Evening Under the Stars” works to raise funds for The Michael Bolton Charities’ in conjunction with their main mission of assisting women and children at risk of domestic violence, abuse, homelessness, and human trafficking. 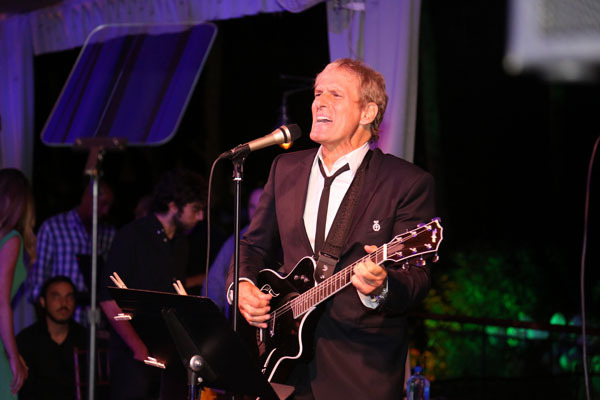 The Michael Bolton Charities, founded by the Grammy-award winning singer and social activist Michael Bolton, held “An Evening Under The Stars”, an intimate fundraising dinner, auction, and private performance by Michael Bolton on Saturday evening. “An Evening Under the Stars” hosted over 300 attendees in a gorgeous, chandelier-strung tent of draped grey silk at a private estate in Sagaponack, NY. The Charities honored Susan Shin, philanthropist and founder of Shin Advisors, LLC. 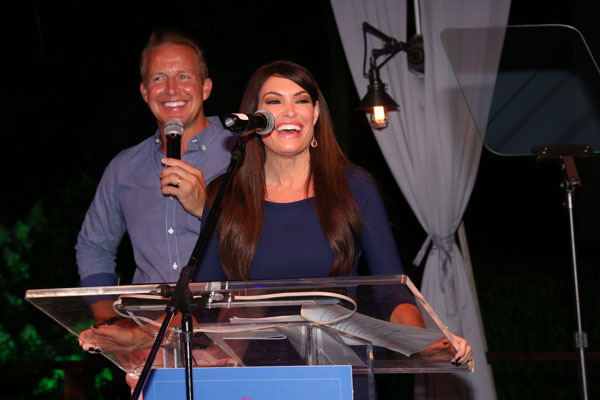 Kimberly Guilfoyle and Chris Wragge acted as hosts of the evening, and Lawrence Scott Events produced ‘An Evening Under the Stars’. Additionally, The Charities gave surprise recognition to Lawrence Scott for his generosity and support in creating an amazing evening. Actor Richard Kind also joined the fun by acting as impromptu auctioneer for the “Michael Bolton Package” auction prize, which included 2 VIP tickets to a Michael Bolton concert, joining Bolton for sound check, and a meet and greet with photo and a personally signed guitar by Bolton. Notable attendees included: Kimberly Guilfoyle, Richard Kind, Susan Shin, Ramona Singer, and Chris Wragge. Presenting Sponsors included Lawrence Scott Events and Sammi & Scott Seltzer, Lead Sponsor was Iris Smith, Premier Sponsors were Sabrina & Jahn Levin, and Platinum Sponsors were Marjorie & Bobby Emden and Gale & Ken Sitomer. 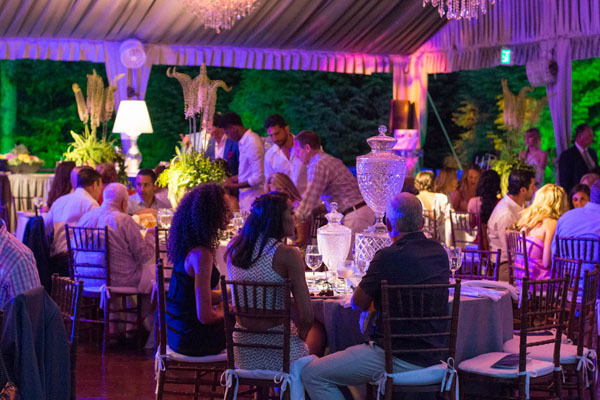 Hamptons Magazine was the Media Sponsor and the Wolffer Estate Vineyard was the Wine Sponsor. Now in its 24th year, The Michael Bolton Charities has been a consistent advocate and supporter of initiatives and organizations committed to responding to the needs of children and women at risk from domestic violence, physical and mental abuse, poverty, homelessness and human trafficking. 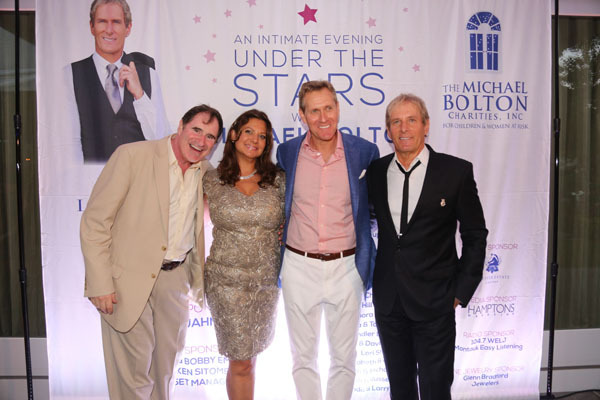 The Michael Bolton Charities has supported more than 100 organizations across the country. The Michael Bolton Charities is also partnering with Southampton jewelry staple Glenn Bradford Fine Jewelry for a weeklong “Shop for Charity” benefit which began on Friday, August 18th and runs through Friday, August 25th, where a portion of their sales for that week will be donated back to The Charities to support their work for women and children at risk of domestic violence.